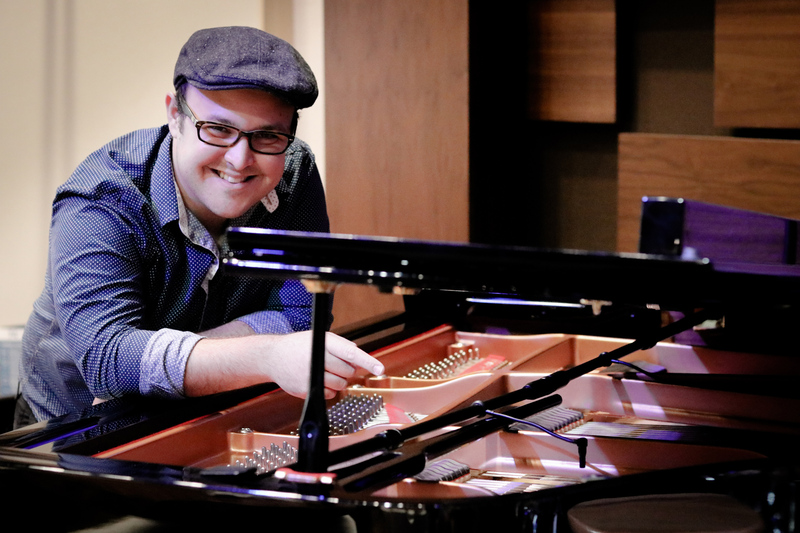 Milford, NH – For the past eight years pianist Kemuel Roig has been touring with world-renowned jazz trumpeter and Grammy award winner Dr. Arturo Sandoval. At the NAMM Show this past January, Roig discovered the Earthworks PM40T PianoMic, and the microphone has since become a critical piece of gear that they use at every stop on their tour around the world. Miking a piano often poses a challenge in live settings. For Roig, sharing the stage with drums and bass meant leakage, and their existing piano microphones were also picking up those instruments. It was at NAMM that Roig saw the Earthworks PM40T PianoMic firsthand in a Yamaha C7 grand piano with the lid closed.